Why am I receiving email notifications about CARs submitted on a case that's closed in ICOTS? These email notifications are valid. CARs can be submitted on historical cases. 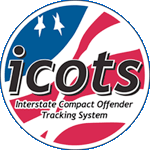 This functionality was included in ICOTS so users could communicate about a case even if compact supervision had ben terminated (possibly to reopen a case or add relevant documentation).